When you are capturing all those moment in your day's life with your digital camera you could easily forget to back up your vital data. There are plenty of devices out there that can easily fulfil this job. X-Micro Technology, a company from Taiwan, sent us their pocket-sized solution so we went and had a try with it. The Mini DisGo is available with a storage capacity up to 40GB. The sample we used has 20GB on board. The ultra-compact device with a 1.8-inch Toshiba 20GB HDD built-in is equipped with a Hi-Speed USB 2.0 interface providing up to 480Mbps transfer rate. The hard disk drive has a spindle speed of 4200-RPM and gets its power via the USB interface. Check your own USB configuration to learn whether your USB ports are capable of putting out 5V, as the Mini DisGo needs 5V/500mAh to function. The dimensions of the X-Micro HDD are 60 x 98 x 8.5mm with a weight of only 85 g. It supports Windows ME, Windows 2000 and Windows XP. Is it the perfect back-up device? We unpacked the box and tried it for ourselves. X-Micro 20GB Mini DisGo - It is not an easy job to unpack the hard plastic shell which contains the X-Micro device., Once you have managed to get your hands on the Mini DisGo you'll notice there are a few more items included in the box. The box contains the drive unit, a short (10cm) black USB cable, a black plastic pouch and a small instruction manual. Thanks to the ultra-small dimensions and the light-weighted character of the X-Micro 20GB Mini DisGo you will always be able to carry this back-up device with you. The pouch will more or less protect the aluminium case. X-Micro Mini DisGo - Although the manual contains only 30 small pages it provides instructions in 13 languages! But then; how hard can it be to use the X-Micro! Just unpack the Mini DisGo, connect the USB 2.0 cable to your desktop computer or notebook and connect the cable mini connector to the X-Micro 20GB DisGo. 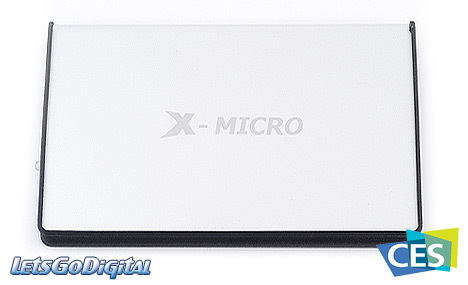 Note that X-Micro offers a capacity range of 5, 20, 30 and 40GB. One small detail is the fact that the USB cable is very short;, in some cases I can imagine the need for a longer cable! The LED near the USB 2.0 interface will light up after you have followed the mentioned steps. It lights green when the drive is powered and orange when the drive is active; transferring data. It is only a matter of checking your file manager for the new external hard disk. Easy and fast, the way it should be! Ok, after having completed the ''installation process'', the X-Micro handles itself like any ordinary hard disk. And for what it's worth, the X-Micro is pretty fast. Although the modern hard drives like you use for your desktop are featured with ultra fast 7200+ RPM, the X-Micro holds stand. It isn't the fasted drive around, but it gives you more than an average burst speed and more important; it gives you a back-up of your valid data in the easiest way possible. 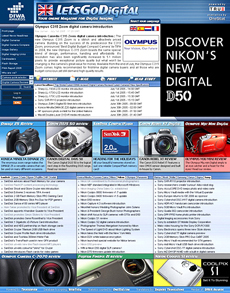 Direct competitors for back-up are the mini USB flash drives, but at this moment the mini HDDs offer the advantage of having a far more interesting price for storage. Though from a technical point of view flash storage would be preferred. Nevertheless X-Micro succeeded in developing a small form factor like the Mini DisGo device and the capacity of 20GB makes it ideal to do more with it than just backing up your data. You could even think of placing your operating system (OS) on the mini HDD or even a complete different OS. Some notebooks or desktop computers are able to boot from various locations, some of them directly via the USB port. Imagine connecting your X-Micro Mini DisGo with OS recorded and booting from it, great technology! 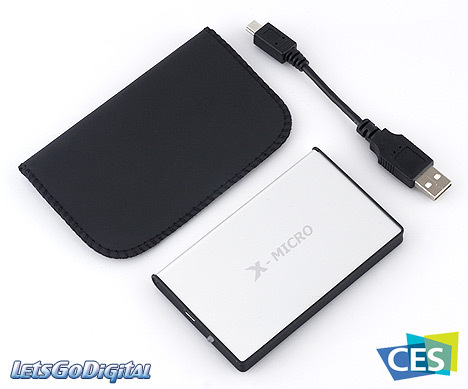 X-Micro Mini DisGo - There are many back-up devices like the X-Micro Mini DisGo 20GB, but in a way I found the X-Micro comfortable to use. It is really compact, it is ultra thin and yes its dimensions weight made sure I carried it with me from day one. I only wish I had given the Mini DisGo to one of our colleagues. He went on a business trip to Epson, Panasonic and SanDisk in Japan and China, but during his trip his notebook crashed and he was not able to boot it up, neither did he have the possibility to back up the vital data recorded in the days before. 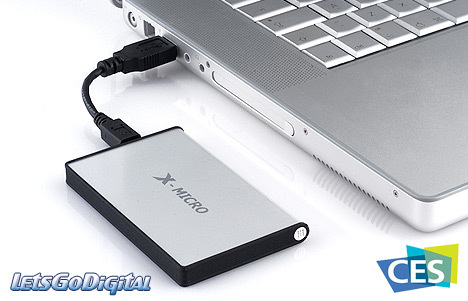 I recommend the X-Micro Mini DisGo to everybody who is seeking for an ultra-compact and light-weight mini HDD for back-up. Ok, it is not as fast as today's average HDD, but it is available in storage capacities up to 40GB and it features a fast Hi-Speed USB 2.0 which performs greatly!